Your team of healthcare employees are dependent on you to provide the right infrastructure that allows them to perform to their highest potential. As the lives and welfare of the patients lies in the hands of your healthcare professionals, you need to ensure that they are comfortable and protected from repetitive strain injuries. The following tips will help you create a perfect environment for your healthcare office. The examination room is the place where the actual interaction between a patient and a healthcare professional takes place. 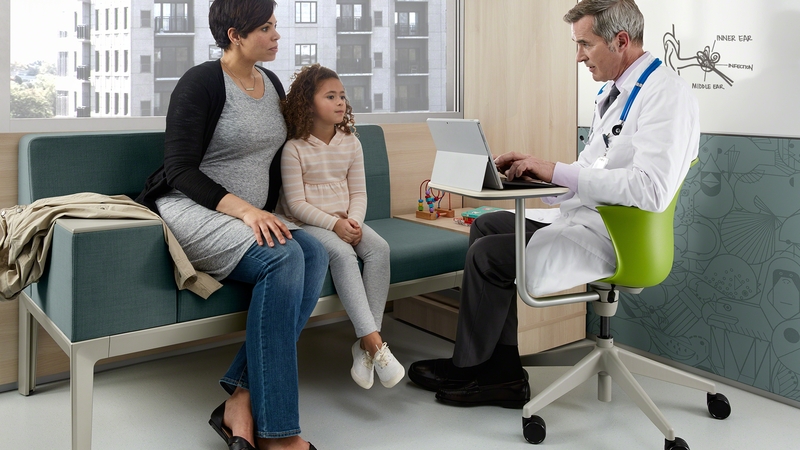 The furniture within spaces like the emergency room, doctor’s office, exam room, surgery room and urgent care center should be highly functional, offering access to all the required tools, equipment or medication while at the same time avoid being ungainly or obstructive in order to allow a high level of interaction between the healthcare office staff and their patients. Ergonomics play a huge role in the levels of productivity and job satisfaction amongst employees, regardless of the field or industry. People spend over 8 hours a day at the office, and the tools that they use could harm their health if it forces their body into an awkward position. Make sure that the chairs have adjustable height, lumbar support, arm rests and a comfortable cushion, and train your employees to position their keyboard, mouse, computer screens or any specialized equipment they use regularly in a comfortable position. The desks used by your employees must be at an appropriate height, and it should provide a safe working environment for healthcare professionals. The recovery of patients is the primary objective of a healthcare system, and the office environment should be able to provide the right structure for the same. 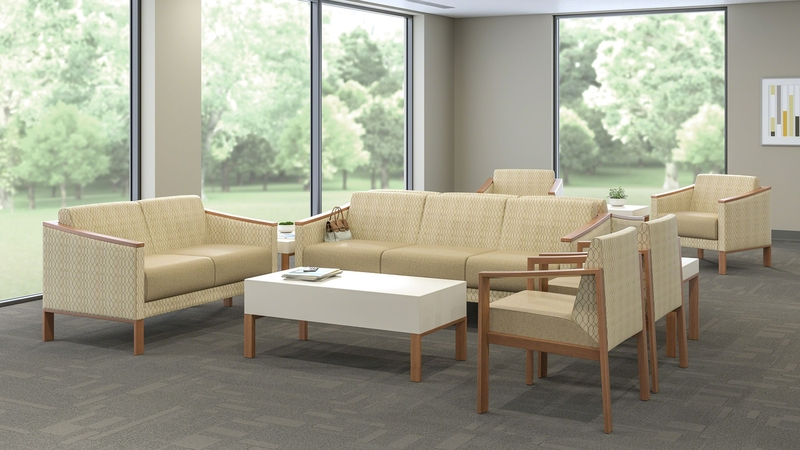 Furniture within patient rooms should be aimed at providing comfort and empowerment, while waiting rooms should be set up to enable a better flow of information between staff, patients and family members of the patients which are often left restless and frustrated by a lack of communication. With a well-designed space for patients, your healthcare office will be able to provide a much better experience to all parties involved.